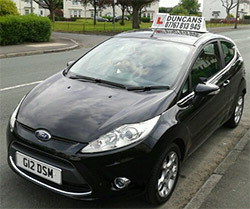 I am a fully qualified, DVSA Approved Grade A Driving Instructor with 40 years experience. I drive to an advanced level and have passed the Cardington special driving test and the IAM and ROSPA advanced driving tests. I offer a dedicated, personal service and will always arrive on time for your lessons. All tuition is on a one to one basis and delivered in a patient and friendly manner. I can provide theory and hazard training. I will explain things in simple and understandable terms and allow you to ask questions without feeling awkward. I keep my prices competitive and affordable. Discounts are offered for block booking. For qualified drivers looking to advance their skills or who simply need a confidence boost, I offer Pass Plus, Motorway and Refresher courses.